Today JD, Roy and Andrew discuss and review At The Back Of The North Wind from Focus on the Family Radio Theatre. 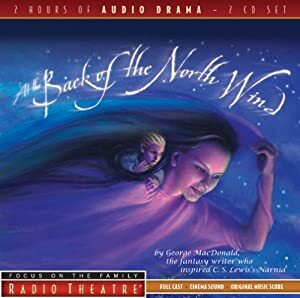 This is a fantastic audio drama adaptation of the classic novel by George MacDonald. We also share some feedback from Jerry Robbins at The Colonial Radio Theatre regarding our review of The Prince And The Pauper. And of course, Roy fills us in with a newscast.